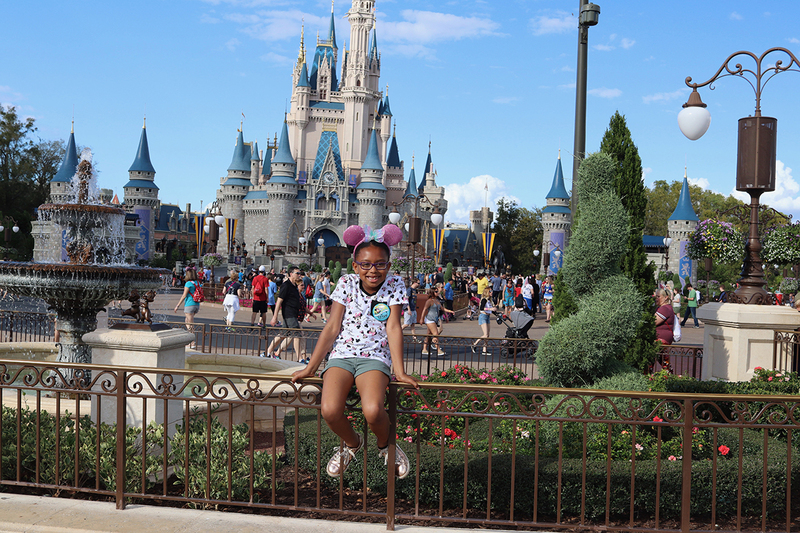 This post sharing 8 reasons why your kids should have a Disney birthday celebration at Magic Kingdom is written in collaboration with Walt Disney World. All thoughts and opinions are my own. Tatiana turned lucky number 7 over the weekend and it was “the best birthday ever” according to her. 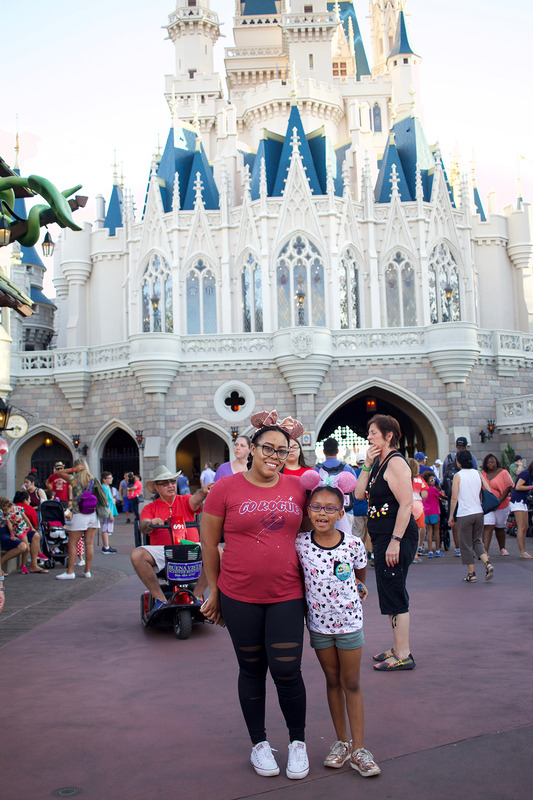 This year we decided to skip the party and celebrate with a trip to Magic Kingdom for a Disney birthday experience. Disney has been on our minds since the last time we went for Christmas 2 years ago. 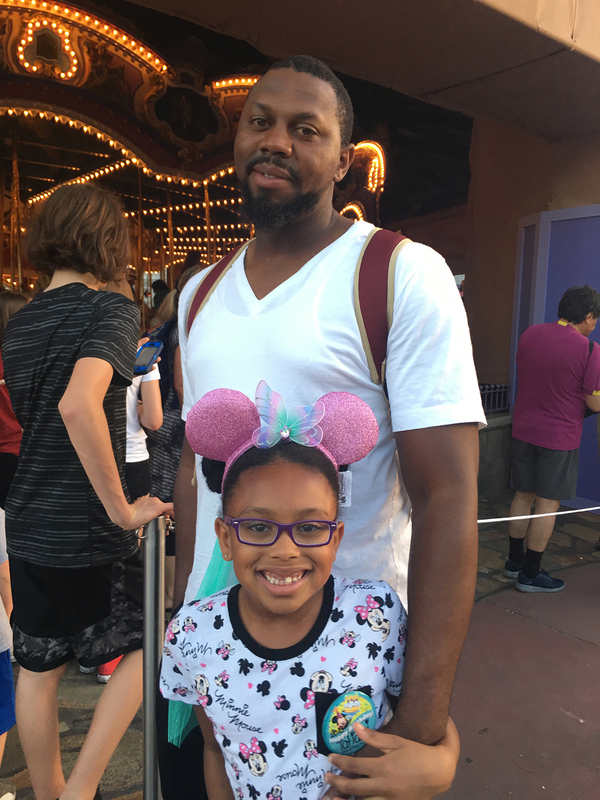 Tatiana has been talking about it over and over again so my husband and I wanted to surprise her with a day at Disney for her birthday. Honestly guys, my heart is so full after this trip. I cried. Not once but three times. I don’t know if it was the fact that my baby girl turned 7 or if it was because Tristan wasn’t there to celebrate with us. It was probably a combination of both. It was such an emotional day. Tatiana has come so far and matured so much in the last year alone. 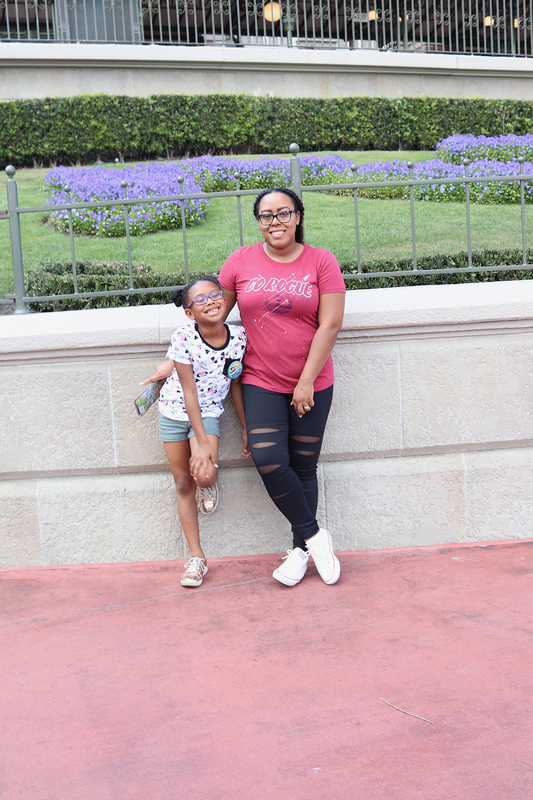 She deserved this trip to Disney more than anything and to hear her say over and over again that this was “the best birthday ever” I couldn’t help but break down and let those thug tears out. As a mom, I’m proud of my princess for overcoming everything that we’ve been through and I am so incredibly grateful that we could make this day happen for her. 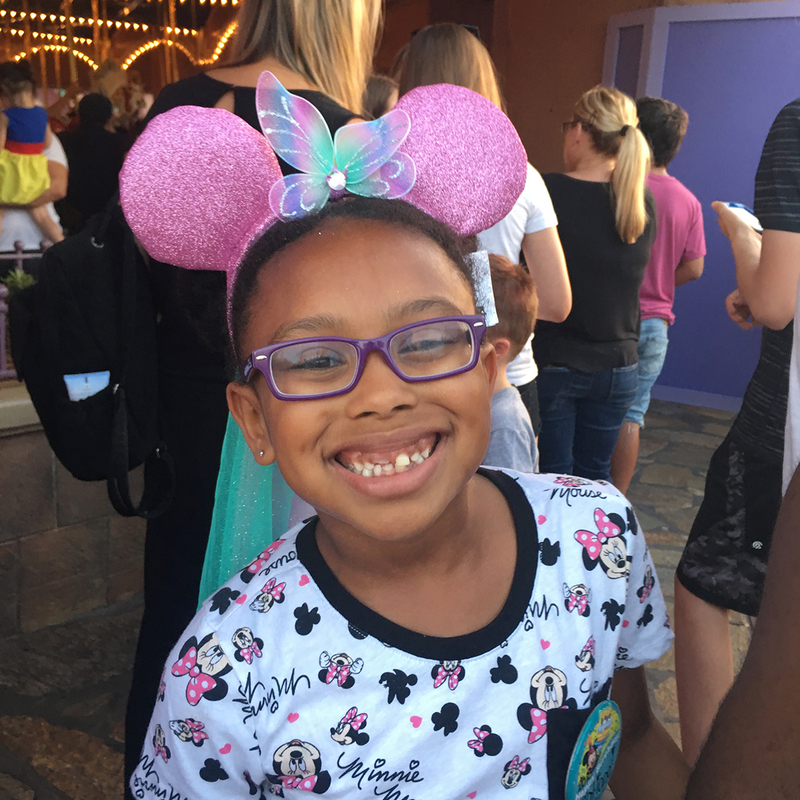 If you’ve never had a Disney birthday celebration for your kids, you should and here’s why. Once you get to Disney you’re greeted with a birthday button, if you let them know in advance when making your registration. If not, you can get your child a birthday button at the ticket kiosk or in City Hall once you get into the park. The birthday button comes along with the royal treatment of being greeted by every cast member at Magic Kingdom. 2. They’re treated like royalty. Not only will the cast members greet you and wish you a happy birthday when you’re wearing a birthday button but they’ll even sing Happy Birthday to you too. 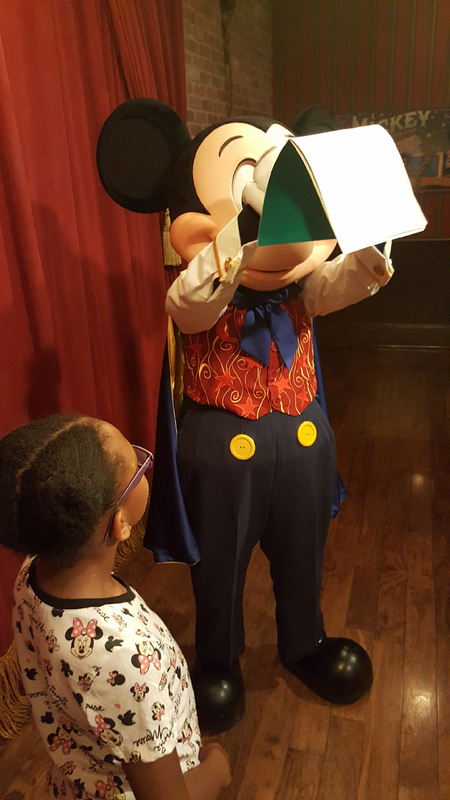 Tatiana had the pleasure of being serenaded by Mickey Mouse with a Happy Birthday song. Some characters even left a special birthday message in her autograph book. 3. It’s less of a headache than planning a birthday party. I don’t know about you but birthday parties are such a big headache sometimes. Guests don’t RSVP, they cancel at the last minute, and parties can be very expensive. Since we wanted this birthday to be special for Tatiana, we chose to put all the money and effort into making this a special day for just her. We didn’t have to worry about sending out invitations, decorating or hunting down guests for RSVPs. She loved it! 4. They can be the star of the show. 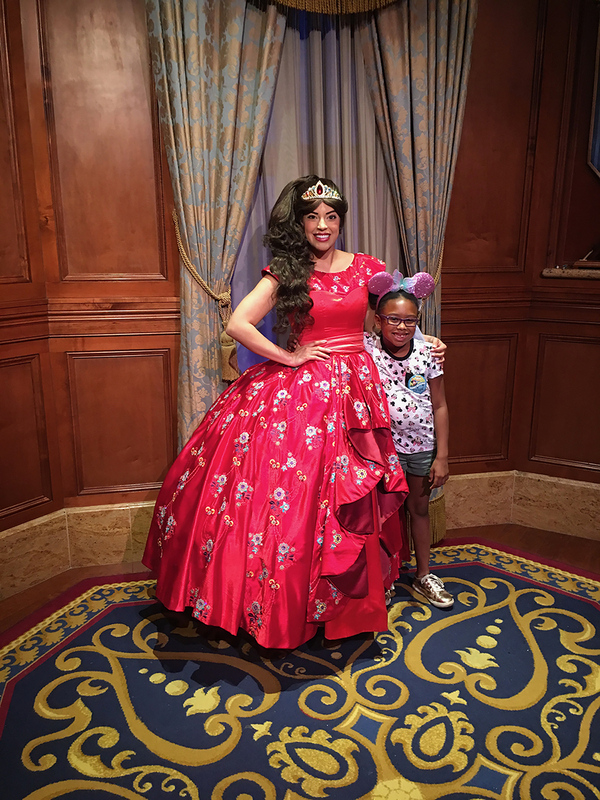 One of Tatiana’s favorite attractions at Magic Kingdom is Enchanted Tales with Belle. The last time we went to Magic Kingdom, Tatiana played Beast in the play as well. She never stopped talking about it. This time she was determined to play Beast again. Her roar was louder than everyone else’s, actually she didn’t even give anyone else a chance to roar, so she got to play Beast. Another attraction that kids can be a part of is Monsters Inc Laugh Factory. This was our first time going to the show but we laughed non-stop. They give guests an opportunity to text in their own jokes so that they can be a part of the show. They also put spotlights on the audience to get people involved. It’s so much fun! 5. The entire family will have fun. One thing that I love about Disney is that there is something for everyone. 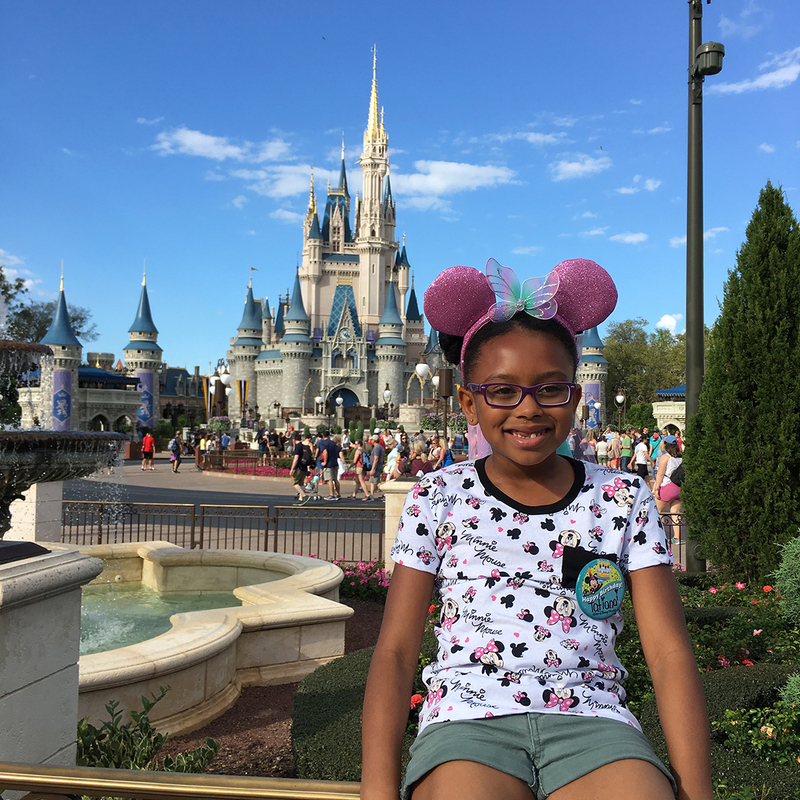 I’m not a fan of rollercoasters but Magic Kingdom offers so many rides and attractions that allowed me to create those special memories with Tatiana. We were able to take pictures together and meet so many Disney characters. I love that my husband and Tatiana get to spend one-on-one time together while they’re riding the different rides. If you’re not a fan of rides, there are still tons of things for you to enjoy. The parades are always a family favorite and we love riding It’s a Small World when we need a break from all of the walking. 6. It’s a one-stop shop for birthday presents and souvenirs. One of the great things about having a Disney birthday celebration is that you don’t have to buy gifts or at least we didn’t. A day at Magic Kingdom was Tatiana’s gift but of course we couldn’t leave without taking a few things home. Disney is literally a one-stop shop for any Disney toy your child could want. There are different stores to choose from with gifts and souvenirs for every age range. Tatiana ended up getting Fairy Princess ears along with a Maleficent hair bow that she wanted for when she plays dress-up. She also got a souvenir penny to add to her collection. 7. It’s the most magical place on Earth to spend a birthday. Honestly, I couldn’t think of a better place for your child to spend their birthday. Disney is an overall good environment to celebrate. Everyone is happy and having the best times of their lives there. If you plan in advance, you can get to experience the entire park in one day. If you’re budget allows, I would definitely suggest a character dining experience and staying in one of the hotel resorts for a little added magic. 8. End the night with a bang. Last but not least, your kids night will end with a bang – literally. I mean what better way to celebrate a birthday then with a fireworks show? 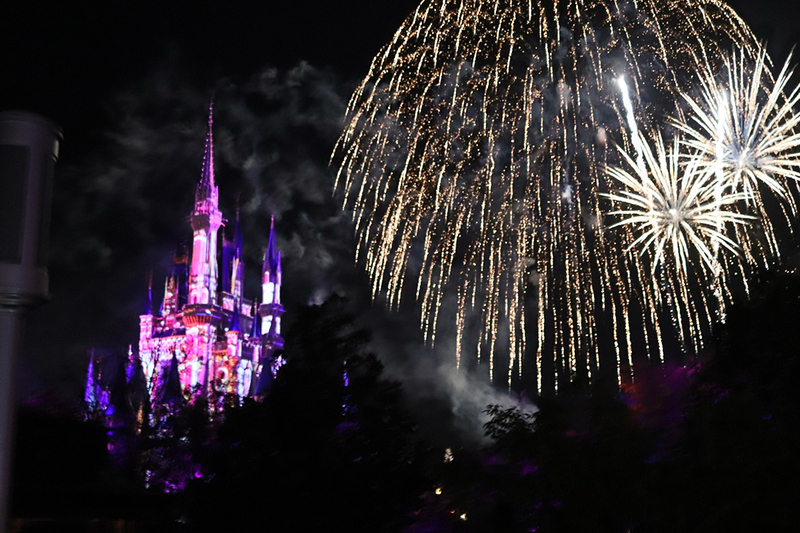 Disney’s Happily Ever After fireworks show is more than just your average fireworks display. It’s paired with your favorite Disney movie songs. This show will play with your emotions guys. It’ll bring you back to your childhood and make you so grateful for all of the blessings you’ve ever received. It’s more than just a fireworks show. It’s Disney’s way of reeling you into all of the magic that they have to offer and showing you that you yourself are capable of doing magical things. That sounds so amazing! I would love to do this for my oldest. She’s well into the tween years, but she’s still a huge Disney fan. I think she always will be. Yes, I so agree with you! My daughter did celebrate a birthday there and had a blast! We ate in the castle. That is a great treat and she is the perfect age to enjoy it. With home and event parties costing near $500. this is such a smarter way to spend your money. My kids are a little older but I will share with my siblings. Yes, parties are so expensive and often times the other parents and kids aren’t even appreciative. It’s so much better spending our money this way. I totally agree! 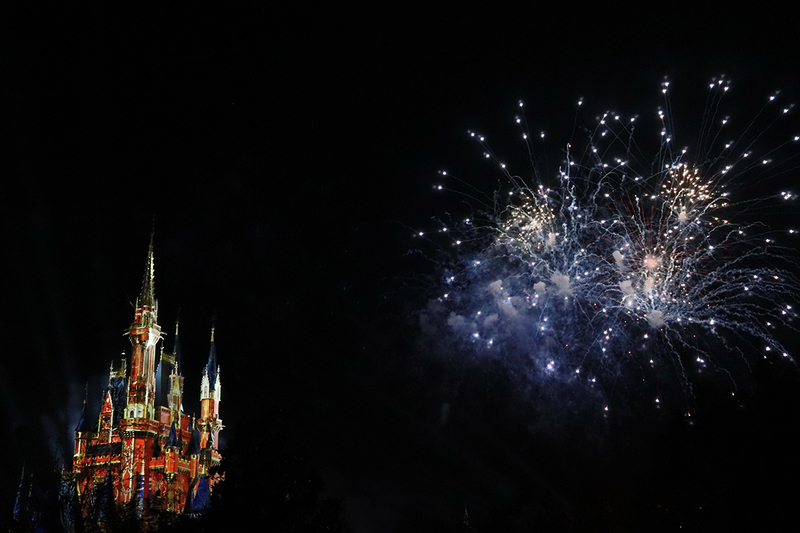 Plus, you can’t beat the magic of Disney. I’m a full-on adult, and I still geek out like a kid over Disney. These are all really great reasons! I would love to take my daughter for her birthday celebration. I think it would be one trip to WDW that she would never forget. Wow, it sounds like they really do go the extra mile to make it a memorable experience for the kids. I’m glad you and your daughter had such an amazing time on her birthday! I SO wish we lived close enough to make this doable! Growing up, we went a few times a year, and it kills me that we live so far away now, my girls have never gone!! We go every August and it just so happens that both of my boys birthdays are in Aug, so they have had their birthdays there many times. So fun. This is so cute!! I agree. LOVE a Disney celebration day!!! Oh my goodness this would be the most magical birthday you could dream of! I would have loved this as a child. I agree wholeheartedly with everything on this list! We live near WDW and we have opted for a family Disney day in lieu of birthday party a couple of times! I’m glad your princess had an amazing celebration day. We live not too far from it too! We’ll definitely be going back again throughout the year. I have never had the pleasure of going to Disney. I really think my kids would also find it to be so magical. You’ve got to make it there at least once. I guarantee you’re entire family will fall in love. 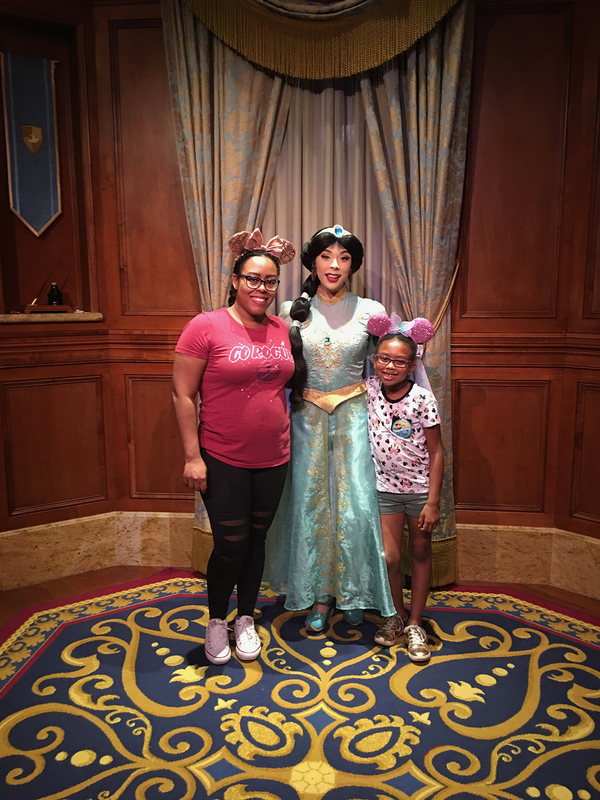 We did Disney for my daughter’s 2nd Birthday and it was amazing. My family prefers doing theme park and vacation birthdays over parties for sure!We will actually be at Legoland in a week for my daughter’s 5th birthday! Legoland is one of our favorites too! So much to do there. We actually just left Magic Kingdom a few weeks ago, and I agree it would be perfect for a birthday! So fun and lots to do. Planning a party can be really stressful so this would be a great idea! On top of that, what child doesn’t love Disney. 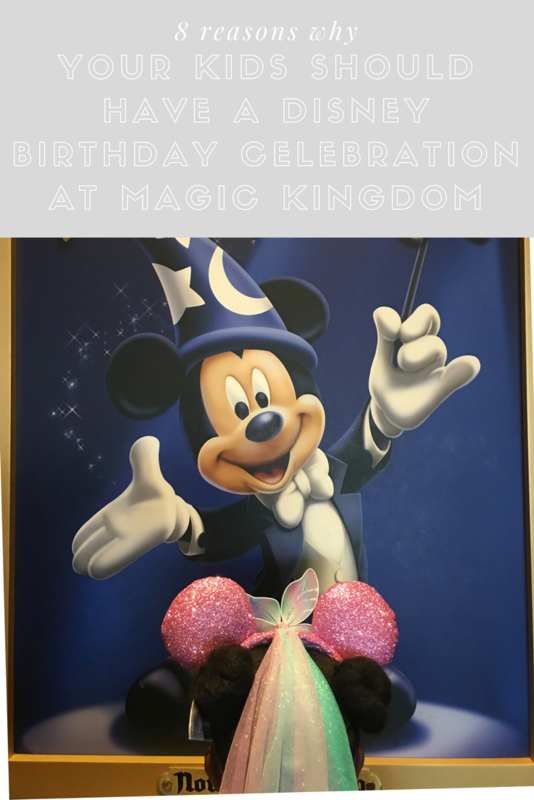 What a fun idea to celebrate your birthday at Disney! 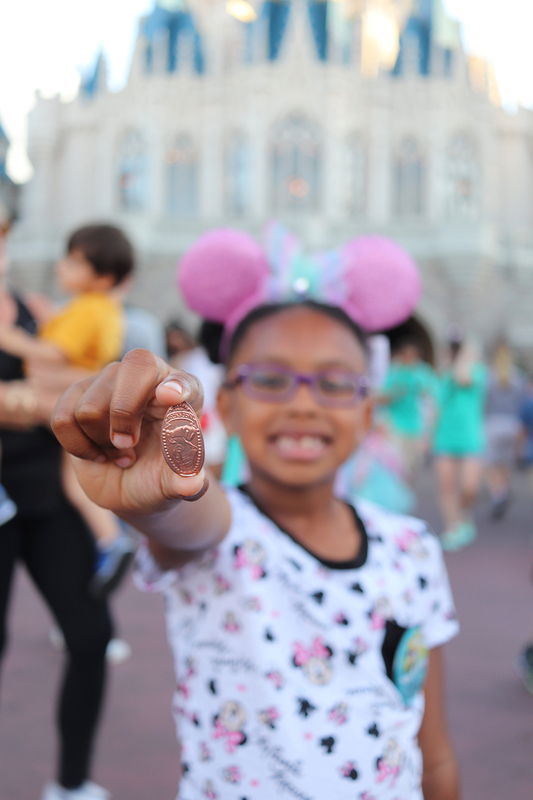 And yes, we love the souvenir pennies too! Oh what a special vacation she will never forget! My children would absolutely love a birthday party at Disney! We took our daughters there on their 4th birthday. We all had so much fun! The buttons were great! I love this and you are ABSOLUTELY right. It is just as easy as planning a big birthday party and it is SO MUCH COOLER. Happy birthday to your little one! We have spent many birthdays at Disneyland. 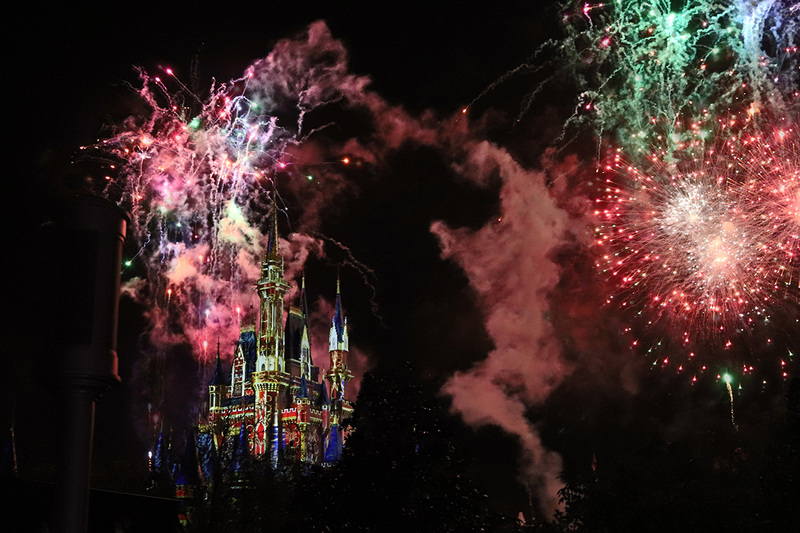 I would love to celebrate at the Magic Kingdom for my next birthday. It looks all kinds of magical. Nothing more than special than a Disney birthday! We will be celebrating some next month when we go! Oh gosh. Adding this to the list of things we need to do for my grandson. But if I’m going to be honest, I really want a Disney birthday for myself too! What fun! That looks like tons of fun. I want to do that for my birthday, maybe I’ll bring my niece and nephews so they can have fun too. I never really thought about going to Disney to have a Birthday celebration before, it looks beautiful though. May need to add it to my want to do list. It’s one memorable birthday celebration especially since you’re going to be spending it at the happiest place on Earth. 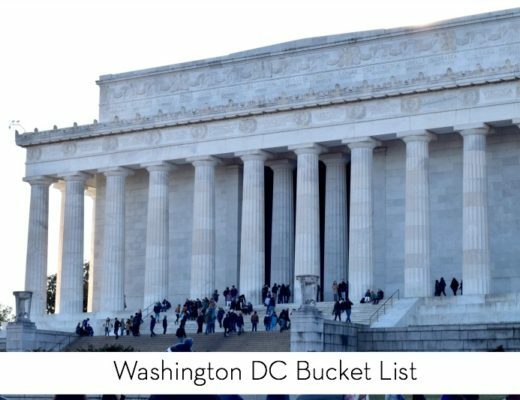 I think these are more than enough reasons to spend your child’s birthday there! I’ve heard great things of Magic Kingdom. I want to visit even though I’m an adult ? Adults can have so much fun at the park! You’re daughter is the cutest! What a magical way to celebrate. 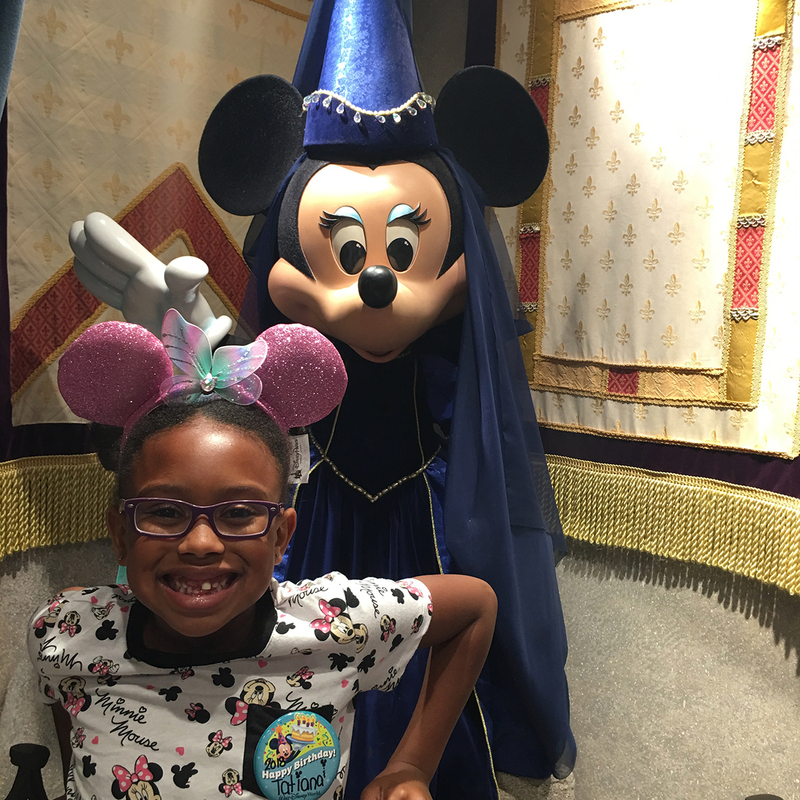 I agree that every child deserves to have at least one super memorable vacation, birthday experience like this! This looks like such a magical experience. I am glad your daughter had the best day! What a great way to spend a birthday. Disney has a way of making everyone feel like its there special day when you visit! We took my son there for his birthday when he turned 6. Everyone was SOOOOO nice that he was overwhelmed with all the attention. He had such a good time – all the kids did. He didn’t even need the extra attention to have a blast. What a fun birthday! I had honestly never thought of it but now I want to do this exact trip for our oldest son’s birthday. It’s so much fun and way better than a party. You’re preaching to the choir here. We took my son for his 8th birthday and it was a blast for all of us. Disney exceeded my expectations. I know why it’s called the Magic Kingdom. My son just turned 7 this month and my goal was to take him to Beaches in Turks & Caicos to their Sesame Place at the resort! I am planning to do it for his 8th and do Disney for Christmas! Tell your princess I said happy bday ? What a wonderful experience, I know that my nieces and nephews would really enjoy this for their birthdays . What a magical b-day! Your daughter is such a cutie! Disney is such a special place and you’re right, it’s a one stop shop for b-days. Looks like she had an amazing birthday blast! What great way to spend a birthday. This must be a magcal and unforgetable birthday for her. It looks so much fun! Love this. Disneyland is closer for us, so we go there more..but we always to Disney for the kid’s birthdays!! We’ve never been to Disneyland but hope to make it there someday. Disney is such a magical place. We took our son there when he turned 5..
Wow! That trip sounds fabulous. I’m sure this is definitely a memory your daughter will forever remember. This looks like a blast! I’m definitely going to plan one! I use to go to Disney every year when I was younger because my mom was from Florida! Its such an amazing place! Your kids look like they had an amazing time! What a fantastic day! 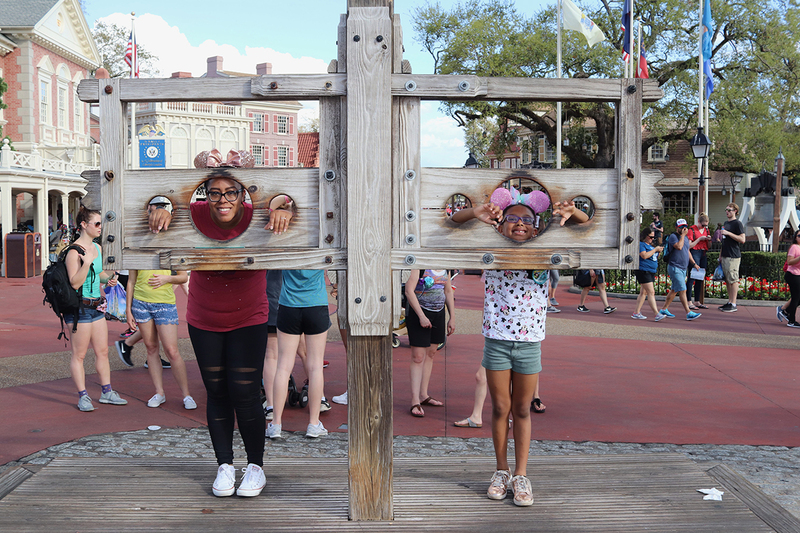 I celebrated my 21st birthday at Disney World and it was still just as fun. I think having a birthday celebration at Disney is absolute genius no matter the age. There really is something for everyone there that you’re sure to give the birthday gal or gent a great time. So happy Tatiana had such an amazing time at Disney. Memories that will surely be with her forever. omg I bet this was such a dream!! This amazing! I can only imagine how happy your child was. It’s indeed magical. This is so beautiful. I can only imagine how happy your girl was. It’s truly magical. It sounds like a great experience. Fun idea to celebrate birthday! This definitely looks like the best birthday EVER! My children are standing next to me as I read and loving the pictures! 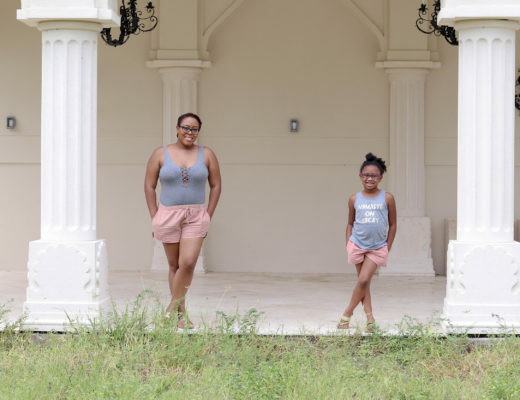 I cant wait to plan our own family trip!!! 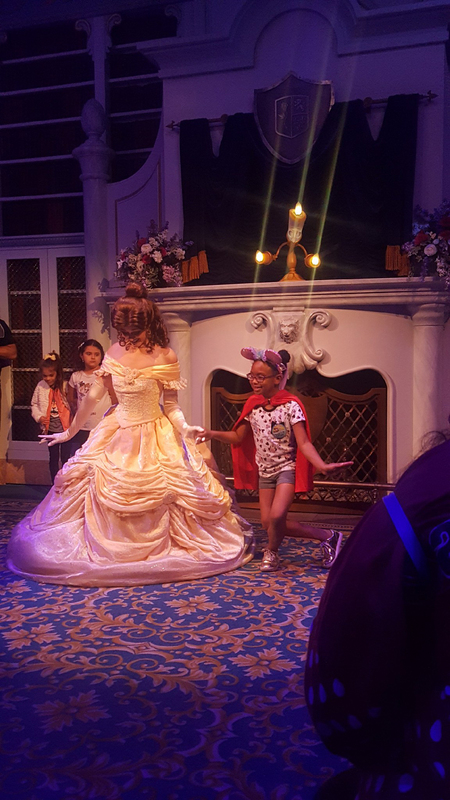 You took some magical pictures of your daughters experience at Disneyworld When i have kids I will do this for them too! We would love to. But…both of our girls’ birthdays fall in the middle of the school year. Can’t take that much time off! I totally agree – a Disney Birthday is the best kind of birthday. It’s magical and special for the whole family! Aw, these pictures are adorable! She looked like she had so much fun, I would love to take my daughters here. I think I’d like it more than them, lol. Thanks for sharing. My husband said that he couldn’t tell who had more fun so you just might have more fun than them. This looks so fun! I want to do this for my birthday! It’s so much fun. I bet you’ll have a blast! When I was a kid that is my dream birthday gift. Where else you can ask for a fun and memorable birthday celebration? Only here at Disney Magic Kingdom. I have done the Disneyland celebration with my daughter many a time. But i would really love to go and do the Magic Kingdom one in Florida. My daughter would love the thing with Belle. I think the stockade outside would be fun. Birthdays are great at Disney. 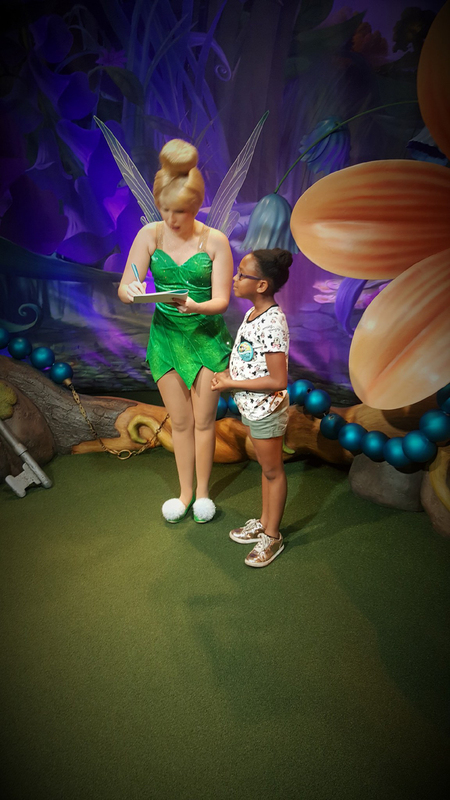 We surprised our daughter with a trip to Disney for her birthday. It was hilarious because we told her she was going to London and she believed us. You know I used to live in Florida and I STILL haven’t been to Disney World. The fireworks show would seal the deal for me. I really need to plan an adult trip to Disney.